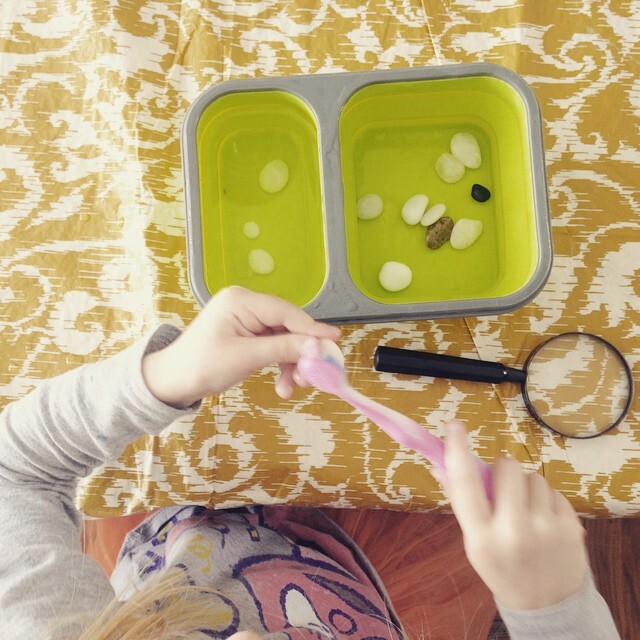 A couple years ago, I wrote about a bunch of indoor activities for young toddlers to do during the winter months (or whenever they’re stuck indoors). I can’t believe Ada’s grown so much since then, and -- thought a lot of the stuff is still fun for her -- the list needs some revision and updating. Still, I encourage you to check out the original post with more details. You can enjoy a lot of the activities without spending much more than your time. Try having a beach party. Or make a quick sensory box. Plan an indoor picnic. Set up all your kid’s animal for a petting zoo. Or have a non-Easter egg hunt. 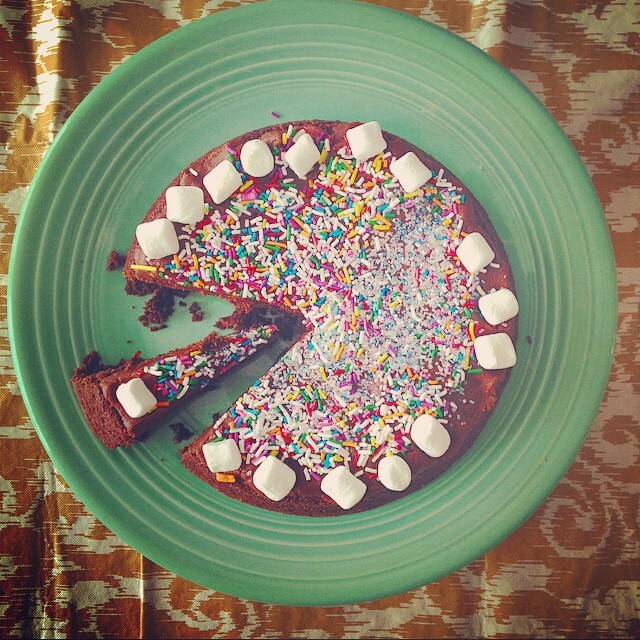 Now, here are a few ideas for the preschooler crowd. I haven’t actually made any quiet boxes yet, but I’m obsessed with the idea. Basically, just get a bunch of independent play activities together and separate them by day or whatever system you choose. When your kid isn’t napping or is just getting on the brink of insanity -- pull out a box and let them explore the contents on their own. Independent play has become difficult over here since we’ve been indoors together all.the.time, so we’re working on this one a little more each day. 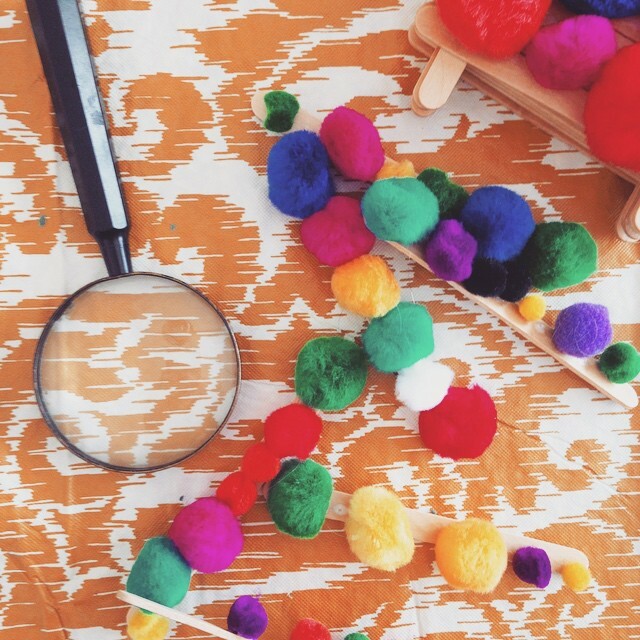 I’ve made homemade play dough, DIY craft kits, table top explosions, and all other kinds of messy play (here are 20 great ideas). Lately, Ada’s been digging snow dough, which is a simple mixture of 2 cups corn starch or arrowroot powder combined with around 1/2 a cup of canola, vegetable, or olive oil. You can add glitter for extra impact. Store in an airtight container when not in use. I stumbled upon a box of rocks we gathered from the Jersey shore last summer. So, I figured Ada might enjoy looking at them through her magnifying glass. I also put them in a container and filled part with water. I gave her an old tooth brush and told her to clean and polish the stones. I was surprised how long she stayed transfixed with this activity! Take some regular glue, popsicle sticks, and poms. Then stick the poms on the sticks to make colorful caterpillars of all shapes and sizes. We even made stick houses and other shapes and designs. Plus, you can play with these furry guys long after you make them. Bonus points for googly eyes. This is the most expensive activity on the list at a whopping $10-$15, but I promise it’s worth every penny. 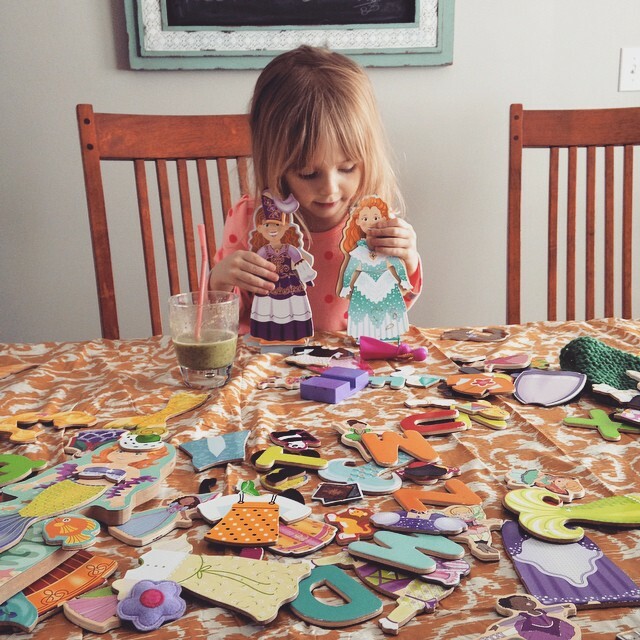 Get your child one of those Melissa + Dough magnetic dress-up kits. They can stick the magnets on the fridge too. Ada loves trying out all the different combinations, and it’s great for her fine motor skills. We’re dreaming of our summer garden already, and we’re starting off from seedlings this year. Get all the stuff you need -- seeds, planters, and soil -- and have your child help you get started. You can let them grow in a sunny room of your house even when the temperatures are frightful. Then you can have your little helper plant them with you when the winter finally lets up. 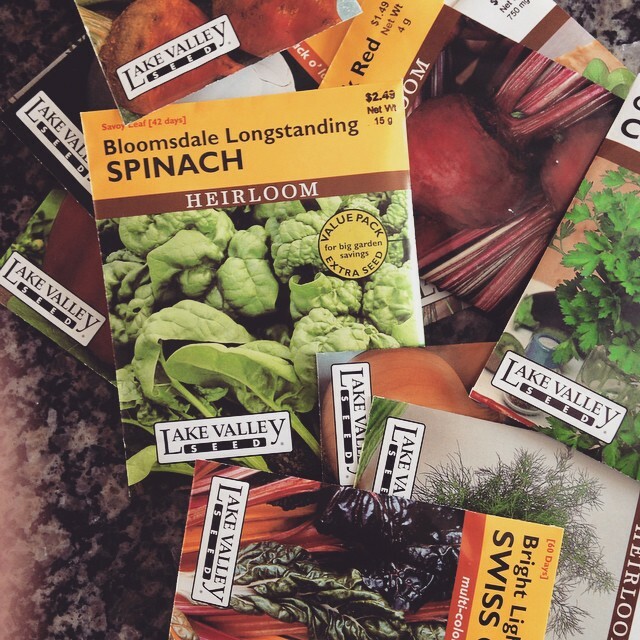 Read all your seed packets carefully for growing and timing info. Try something new with art. If you do lots of paint, color with crayons. If you always do markers -- do clay. Skip the coloring books and go free-form. We recently did one of those projects where you use painters tape to make shapes, and Ada really enjoyed peeling off the tape when her paint had dried. The rules around TV has somewhat gone out the window this winter. Well, not totally. But when the day is going especially bad (and you guys with cabin fever know exactly what I mean), I don’t think twice about running upstairs and snuggling in my bed with Ada watching a movie. In fact, it’s glorious. Pop a bag of popcorn to make it a full event. When all else fails, you can’t go wrong by bundling up and playing outdoors. Even in extremely cold temperatures, a few minutes is incredibly helpful. We’ve had plenty of -35 degrees F windchill days . . . and warming up the car and driving to a friend’s house or to the mall was a great alternative. Our tolerance for cold has increased as the winter had gone on, so we’ll gladly play outdoors for a stretch even when the temps are below 10. Just dress your child in many layers and cover as much skin as possible to prevent exposure. And start with small stretches of time, always supervised. 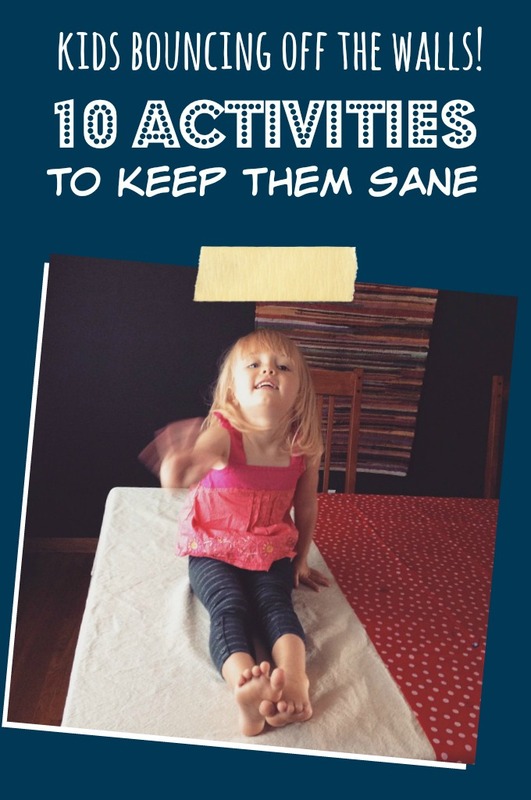 What are your favorite activities for preschoolers during these shut-in months?